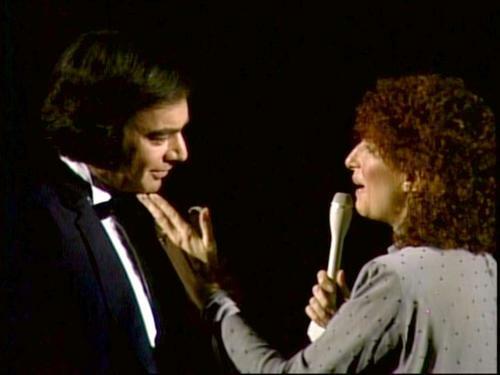 Barbra Streisand and Neil Diamond perform "You Don't Bring Me Flowers" live for the first time at the 1980 Grammys. Photo property of the Grammys. The countdown to the Grammy Awards continues! Who will take home the coveted trophies? Who will perform at the event? Music lovers will find out the answers on Sunday but to prep for the Grammy Award performances, jacobelyacharjournalist.com continues its’ coverage of The 50 Grammy Performances You Need To Watch. Oscar winner and American Idol alum Jennifer Hudson delivered a beautiful rendition of her Diane Warren-penned hit at the 2009 Grammy Awards. This was an extremely emotional performance because five months earlier, three family members including her mother were murdered. Her performance of “You Pulled Me Through” will give viewers chills. The Rumours Fleetwood Mac line-up rocked the Grammys with three of their biggest hits: “Rhiannon,” “Go Your Own Way,” and the band’s signature song: “Don’t Stop” when the show was held at the Radio City Music Hall. The band displayed smooth vocals from Lindsey Buckingham, Stevie Nicks and Christine McVie and incredible percussion lead by Mick Fleetwood. 32 years ago, Grammy magic was made when Neil Diamond and Barbra Streisand performed their famous duet for the first time together live at the Grammys. This was a terrific performance that gave viewers goose bumps and received a long-standing ovation from the audience. The future Voice coach performed a moving rendition of her 2002 hit. After starting out singing a cappella, Christina was joined by a mini orchestra and a backing choir to finish the song. Rock legend Eric Clapton performed his touching “Tears in Heaven” that talked about his deceased son, Conor, who died after falling 53 stories to his death in 1991. Surrounded by supporting cast of musicians, Clapton gave an emotional tribute to his son that received a standing ovation from the crowd.